The Amish Arlington Executive Desk is comfortable yet commanding and pretty, yet productive. Executive desks offer room to spread out on, room for storage and an impressive style that says you're serious about what you do. 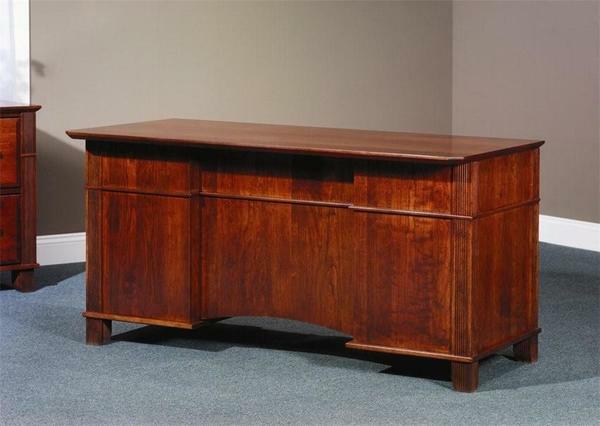 The Arlington Executive Desk is solid wood office furniture that is handcrafted by skilled Amish craftsman. All the finest goes into an Amish desk, producing top quality that is strong, durable and beautiful and will not have to be replaced.